What a weekend of epic cycling weather! Hope you all made the most of it. What did you get up to?? TQCC Mugs – now available. Your morning cuppa will never be the same again. Check out Ryver and Whatsapp for order details. We all know how he would be celebrating…. We all know how he would be celebrating. The club has many people to thank for their kindness, sympathies and donations to Phil Corr’s JustGiving page. 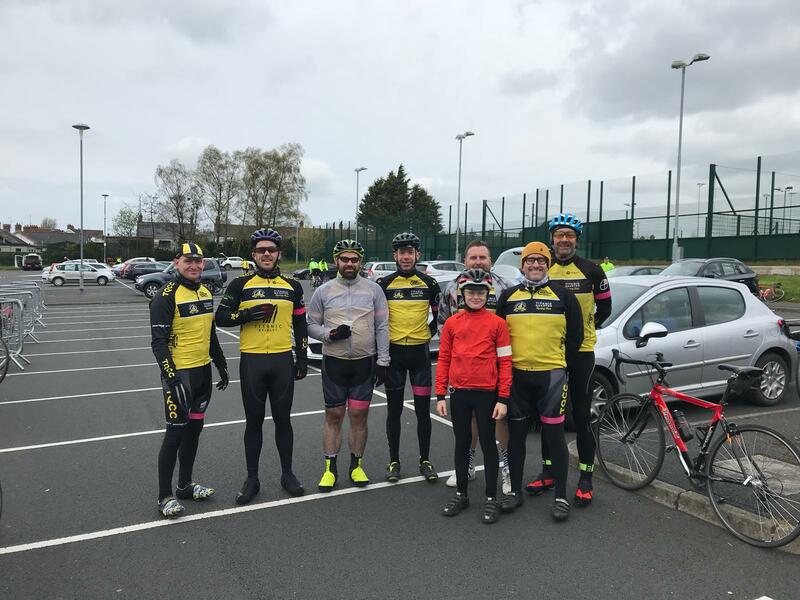 Firstly to Ulster University Cycling Club on Saturday, for allowing us to participate in part of the 4 Campus Cycle for the Mind Your Mood initiative. 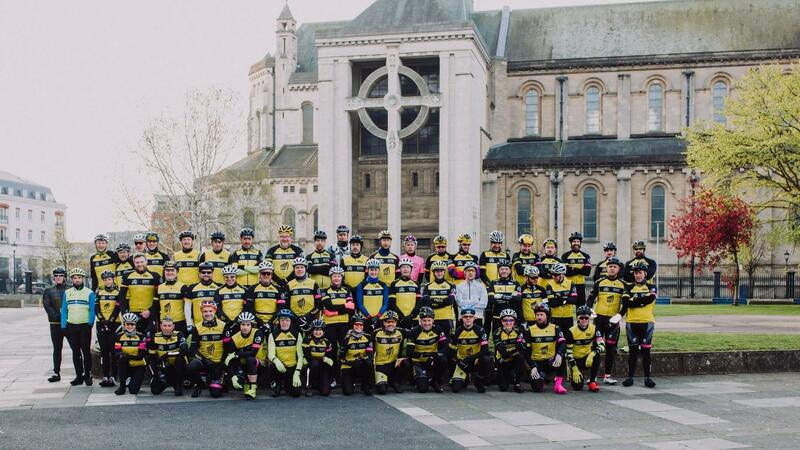 Around 40 club cyclists attended, with the majority cycling out with the cycle participants to Jordanstown. 10 members continued on to complete the full route. One of which – Roy Love – wore Philip’s favourite pink shirt from the Giro. It was a great acknowledgement of what Philip wanted to achieve on that day. Next to all those who have personally mentioned their sorrow to club members. 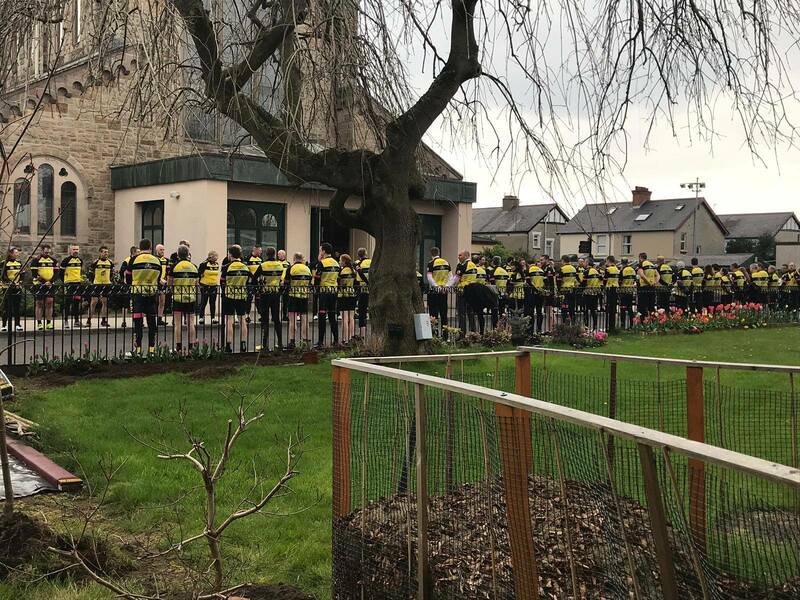 This has been from the show of respect of Dave Kane and family – Dave Kane Cycles – as the funeral procession went passed their shops on the Newtownards Road. To simple words of sympathy from other club members to ours. 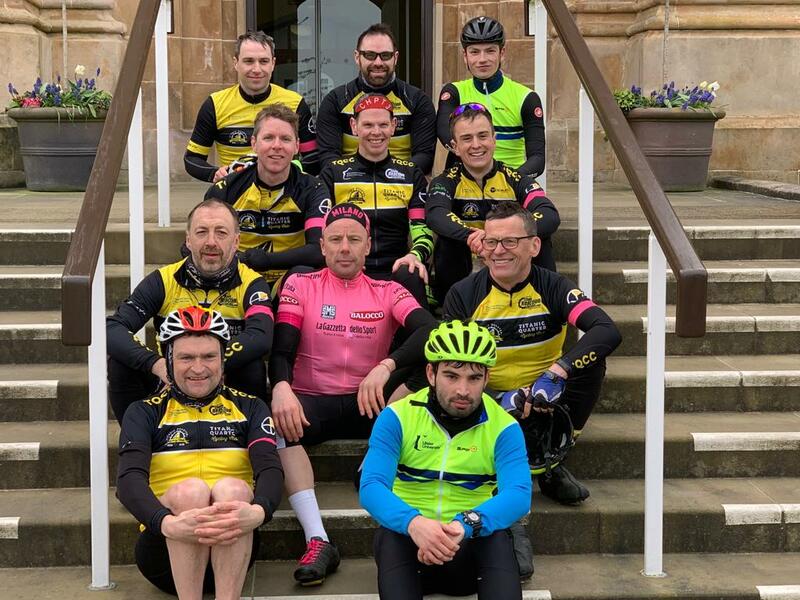 To today’s SMCC – Lisburn's Lagan Valley Challenge, where during the start briefing TQCC members were thanked for attending given the recent loss of Philip Corr, and asked for a round of applause in honour of him. 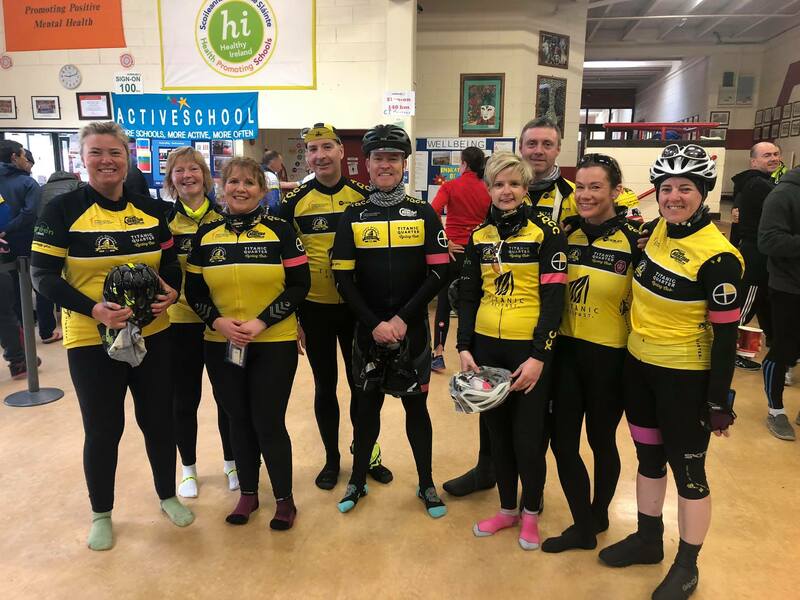 A similar show of respect took place at the start of Saturday’s Donegal Bay Cycling Club's Donegal Bay Sportive, with fellow participants and officials expressing their condolences at the food stop and along the route. And to the family, for asking the club to be a part of the funeral. With a procession in front of the hearse of almost 80 cyclists down the Newtownards Road. And an honour guard at the front of St Colmcilles Parish. The family have asked that their sincere thanks be communicated to the club members. Last but not least, to our members. For showing their support at the funeral, for showing their support at the 4 Campus Cycle, and for their support for each other over this difficult time. We wouldn’t have this club without Philip’s contribution to its formation and development. But we also wouldn’t have this club, if wasn’t for you – our members. Finally, for those who have donated to Philip Corr’s just giving page. The amount raised to date (at the time of this post over £9,500) is unfathomable. We can only thank those who have contributed so generously to a cause that Philip believed to be a worthy cause for the students of the Ulster University. And shows how popular and loved he is, and how his life touched so many. 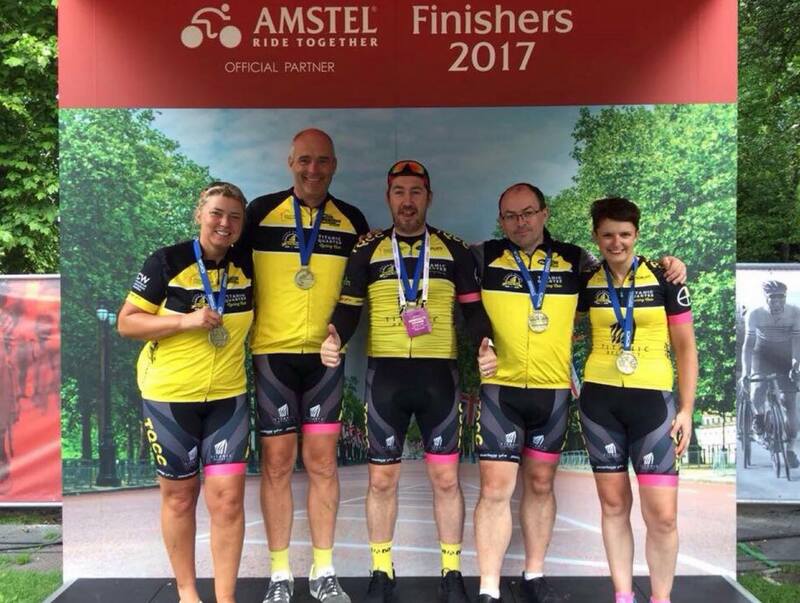 If you haven’t already donated to Philip Corr’s JustGiving page, it would be great if you could help us get the fund raising total over the £10,000 mark. The club itself will be contributing £250 towards the initiative. Any contribution, no matter how small, can help make a massive difference to the university’s Mind Your Mood initiative. Corr, Philip, Brian. 6th April 2019. Loving husband of Kelly, devoted father to Nathan, James, Bradley and Sophia. Funeral service will take place on Thursday 11th April 2019 at 2.30pm at St Colmcille's Parish East Belfast followed by a committal at Roselawn Crematorium at 4.30pm. Donations gratefully accepted to Philip's intended charity ride at: www.justgiving.com/fundraising/Philip-Corr in aid of mental health for Ulster University students. Visitors welcome to Philip and Kelly's home on Wednesday 10th April from Noon. 23 Gortin Park, Belfast, BT5 7EQ. Philip's family welcomes the cycling community to attend the service/s. The scourge of our local roads. More than £1bn is needed to upgrade Northern Ireland's road network to an acceptable standard, a report warns today.